Me and my new pup Gibson! Here he is checking out the Medium Roll... 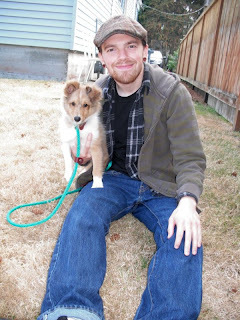 He is a neat little Shetland Sheepdog (Sheltie), almost four months old. So exciting! Well, not that wild, just right! Welcome Willy, he had his assessment today. It isn't Willy's first day at the rodeo. He speaks great dog and has played hard before. It is great and quite obvious :). 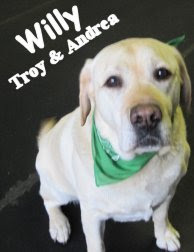 Willy is an 8 year old, about 85 pound, Yellow Lab. He did a good job today in the Big Roll! We'll see you again soon. Here is a clip of Koji and Samba playing today. Maybe we need to move to Boston? Are you walking your Yorkie like a Great Dane? Briggs & Corona Looking Sharp! Briggs and Corona are long time friends of The Fort. 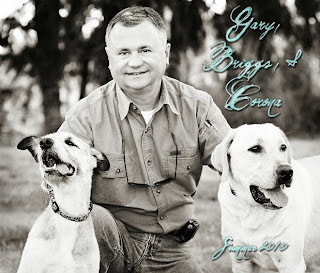 Thier owner Gary had Carolyn, of Standing Stones Photography, come out and help him with his project. 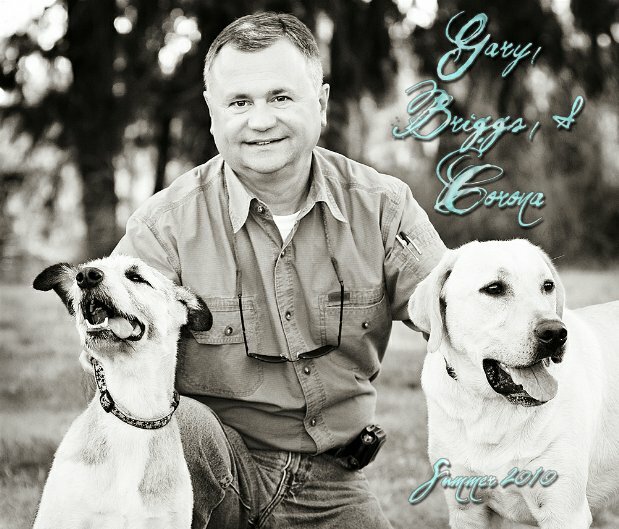 He made a Beautiful DVD (photos of him and his pets set to music) for his daughter who is serving in Afghanistan. I was able to capture some of the photos to show you guys. All of the photography was impeccable! P.S. Gary also told me about a funny snippet he found online. I'm surprised I didn't find this! I give you, Dog eats entire beehive, wins award. Best buddies Gem and Gemma "Neck Fighting" (a style of play) ! What a great morning! Three assessments, all did super good! 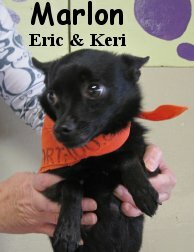 Marlo (Schipperke) and Tito (Chihuahua Mix) are brothers. 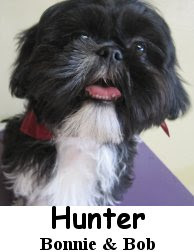 Hunter (Shih Tzu / Maltese Mix) is a young pup who had a blast. All three dogs loved the Little Roll upstairs. P.S. I found this great article Sunday evening. 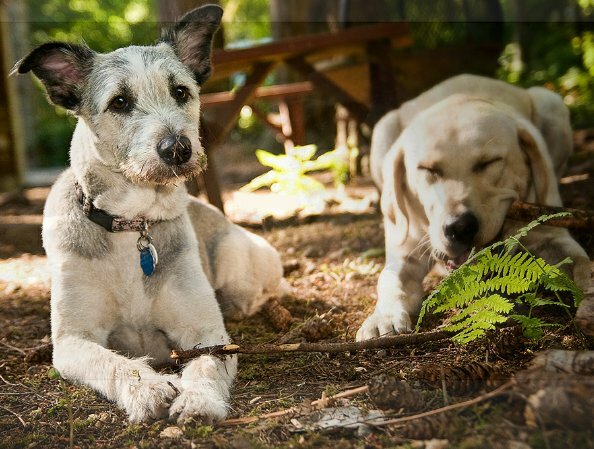 It is about how 12 dog breeds got their names, cool! 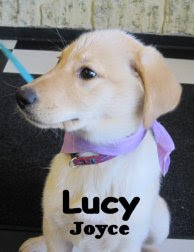 This morning we assessed a sweet little Labrador puppy named Lucy. She was so small that she went upstairs with the little guys. It turned out that this was just the right place for her, she played and had a good time. Here is a little clip of her playing with a Dachshund named Stella. I hope that your week is off to a good start! Here are a few clips of the action from the Fort today. Abner continues to surprise me with his choice of playmates! The little Basset Hound had a blast today with Oskar, a Doberman. You can also see the Samoyed Samba trying to get involved in the fun, but Abner and Oskar only had eyes for each other. In this second clip, Samba is trying to get out a ball from inside of a larger one. These sort of puzzle toys are really popular, and are great for keeping smart dogs busy in a non-destructive way. Last, we have a clip with Oskar, Sarah, and Chloe all playing ball. On a weekday we tend to avoid having toys with the larger dogs, but the smaller groups on Saturdays make it a much more manageable game. This one had me floored today, it just goes to show, what my mom always reiterates to customers and employees... "DOGS WILL SWALLOW ANYTHING!" This is a bit graphic but not too bad, they are helping the animal and he is A-OK now! I give you, Dog Swallows a 'Swiffer Mop'. Here is another topic we've debated at The Fort many times, I don't want to scold anyone but this seems to be the consensus, Yes, Dogs Are a Driving Distraction Too. 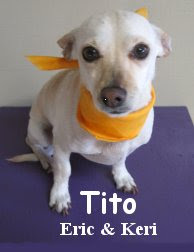 Last but not least, we'll end on a happier note, Paralyzed Dog Climbs Mt. Washington. Way to go Lucy! Mr. Miller just turned one on Tuesday 8/17/10! He is one lucky guy, his parents made him a special dinner and took him out to his favorite store to get a new toy. The Fort gave him a stuffed birthday cake. Happy Birthday Miller, may you have many more great birthdays in the years to come. Today I noticed that there was large-size and a medium-size of the same thing! First on the medium side, Polo the Husky was playing with Lillie, a yellow lab. Then I noticed Pawsha, a giant malamute, and Ryker, another yellow lab, were tearing it up on the large side. Say hello to Otto & Jack! Otto and Jack had their assessments this morning. Otto is the new brother of one of Fido's good friends, Oskar and Jack is Otto and Oskar's best buddy. Cool! These two guys started in the Little Roll upstairs. 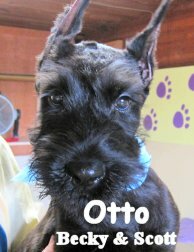 Otto is a three month old, 15 pound, black, Giant Schnauzer. He did great up there and played hard, he'll be venturing into the Medium Roll soon... Maybe on to the Big Roll after that. 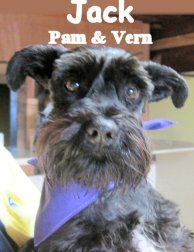 Jack is a one year old, 20 pound, Miniature Schnauzer. He also did wonderful upstairs and liked to wrestle. P.S. Another neat article about Faith can be found here. It's always amazing the sort of things that you can train a dog to sniff out. In South Wales dogs are being trained to sniff out mobile phone parts in prisons. As phones get smaller and easier to hide, they have become a greater security risk in prisons. With a dog's nose, even the most well-hidden things can be found! This story is also about law enforcement and dogs, but from a slightly different angle. An officer picked up a dog to be impounded, but when the officer got back to the car the dog had given birth! She later gave birth to more puppies at a Humane Society shelter. This may seem like a no-brainer, but a study in Indiana showed that a new baby can change how pets are treated. This doesn't mean that people with new children will neglect their dogs, but the pets no longer are the top priority. Today we stayed cool at the Fort, and had a lot of fun to boot! Ice cubes are a great summertime treat--refreshing and hydrating. Mimi and Abner both wanted the same one! And after cooling down with the ice and pool, Abner was ready to tear it up with Lillie. Welcome to Trevor and Daphne! This morning we had a double assessment with Trevor and Daphne. 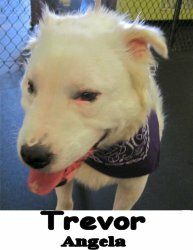 Trevor, a Sheltie/Bull terrier mix, came in and started playing straight away. 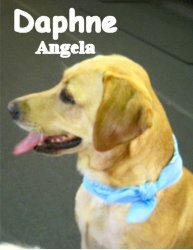 His sister, the yellow lab Daphne, was a bit more reserved. She showed a lot of interest in greeting the other dogs, and was quite a polite little lady. We're glad to welcome these two to our Fort Fido gang! P.S. Here's a clip of Trevor playing with Koji. They were just having a ball this morning. Kendi had her assessment today and she did well. 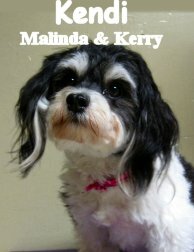 She is a one year old, 12 pound, Havanese rescue dog that is very sweet. Kendi seems to like the other dogs in the Little Roll pack. Her sisters Ally and Mandy have already been attending the fort for awhile now. We can't wait to see her again, our guess is that Kendi we'll be enjoying herself more with each visit. P.S. Two good news bits found this morning: Dog surprises officer by giving birth in squad car & Dog runs for help when owner falls ill. These two! Miss Abby and Gem are too cute for their own good. Found online this morning... Hope y'all had a good weekend. Dog saves owner by chewing off his toe - You've probably heard this one already, it's been all over. Disgusting yet awesome at the same time! Working for Hope today otherwise I'd be at Woofstock '10, maybe you can attend and let me know how it was? Last year's was great! Although it's a bit wet outside the rain sure smells good and we are staying nice and dry while we play here at the fort. Here is a bit of Chloe and Samba cutting a rug (or should I say Rubber Flooring lol) this morning. If you are planning on taking a Disney vacation in Florida, Walt Disney World is making certain that Fido doesn't have to miss out on all the fun. They are planning to open Best Friends Pet Resort in Lake Buena Vista. In London, you can now find an ice cream truck for dogs! This article is a little more informative--it is about how to prepare your dog before a new baby arrives. 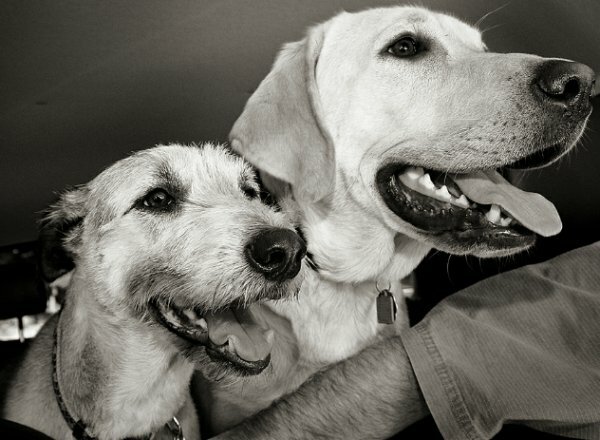 This article is about how puppies become guide dogs for the blind. Mr. Popo absolutely loves his Kumpi! If your dog isn't eating this food I highly recommend you check it out! Barkley, a Miniature Poodle, and Walter really hit it off this afternoon in the Medium Roll. They displayed some wonderfully fair and balanced play. A good day was had by all. 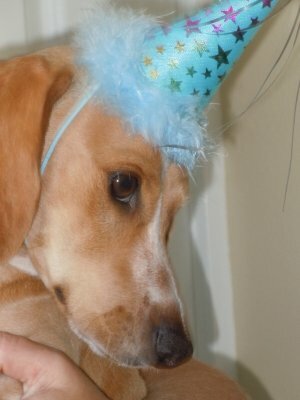 Woofstock is coming up! 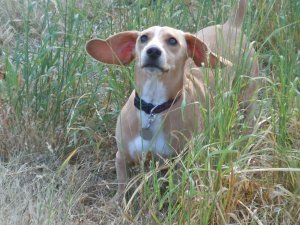 This Saturday at UPS rescue and adoption groups from all over Washington are going to be coming together in a celebration of pets and music. I had the opportunity to go last year, and had a blast. It's a wonder that I didn't come home with an extra friend or two! At the Fort today, Jinx and Koji were having a great time together today. Jinx is an English Springer Spaniel and Koji is a Jack Russel terrier. Proctor and Gamble varieties. Even some prescription foods have been affected by this most recent recall. 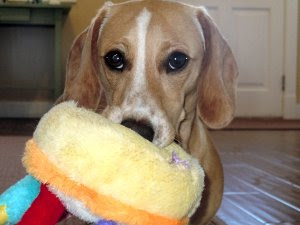 You can get an update on the recent pet food recalls here. 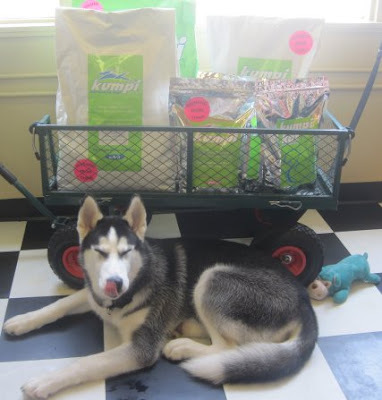 Kumpi Dog and Cat food, made in the USA, has never been recalled and is held to the highest standards. Kumpi is sold right here at Fort Fido. You all know that we separate the dogs by size and play-style. Here's a glimpse into the three different areas! First up is the large area. Pawsha and Bear were having fun together. You can see Truman and Osbourne run by off the side. In the medium side I caught this clip of Mimi and Bruiser. 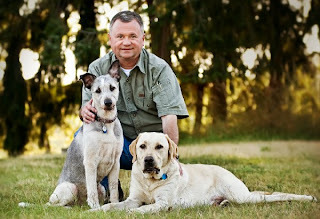 When he was a baby, Bruiser went with the small dogs, but as he grew we decided that we was better cut out for the larger dogs. Boy were we right! He loves playing rough'n'tumble with the bigger guys. In the small area Miller and Oliver were prancing together. 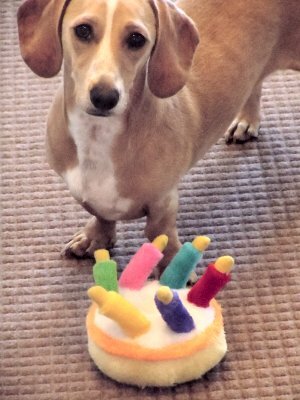 Miller, the dachshund, has also been with us since he was a puppy, but he never grew out of the small roll. It fits him perfectly.